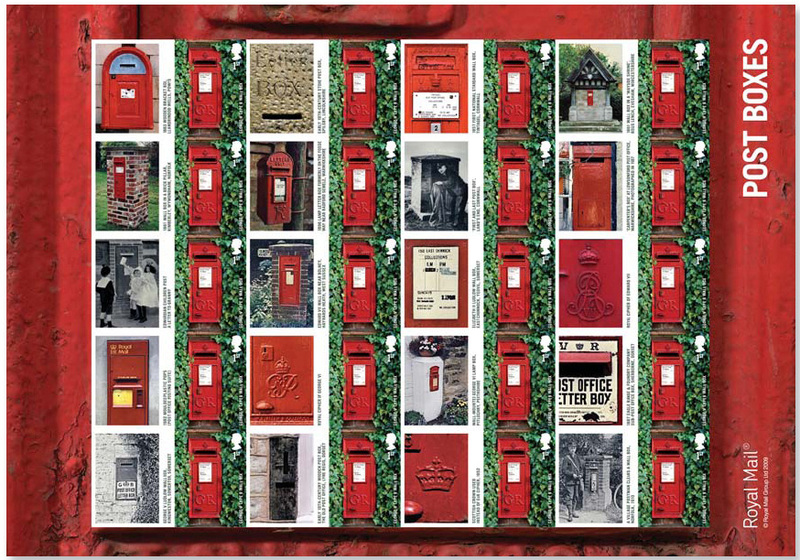 90p - Elizabeth II Type A Wallbox. * The 'lamp box' is designed to be fitted to a post, telegraph pole, or lamp standard. I think few are attached to lamp standards now. 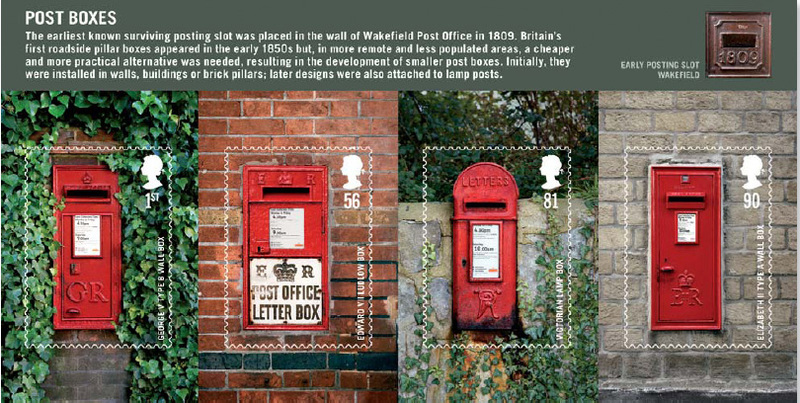 The first class stamp also appears in a generic Smilers Sheet with labels showing 20 other (non-pillar-box) letter boxes. Also on this day, another Prestige Stamp Book, but I'll put news of that in a separate message. Fuller details of both sheets and book and (eventually) the special postmarks associated with them can be found here.